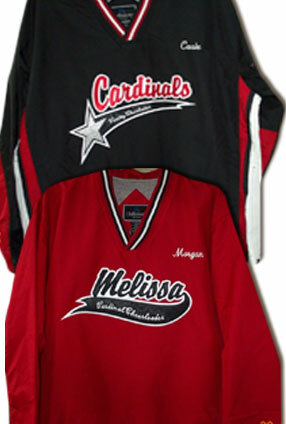 CustomChenillePatches.com has a wide variety of custom snow skiing patches for your varsity jacket. 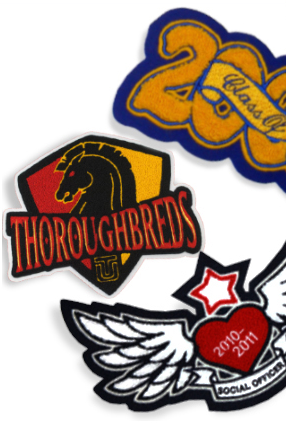 We use only the highest quality materials and equipment and have been producing patches for more than 30 years. 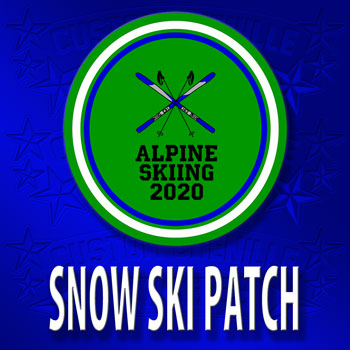 Order your snow skiing patches for your letterman jacket today! Once you start ordering a snow skiing patch for your letterman jacket you will see a graphic displayed showing the different options of colors that you can select. Most patches will have several color options that you will need to select and as you make your selections the graphic will update to show you how your patch will look. Try to not leave the page until you have completed all of your option selections. If you do leave you will have to start over if you come back. Each chenille snow skiing patch will have a measurement on the graphic showing how big that particular letterman jacket patch is. This will help you determine where you want to place the award on your varsity letterman.